Megge of Bury Down is a story of self-discovery, self-acceptance, and facing up to hard truths. At six, Megge was too afraid to take up her mother's book and at eleven, all she can do is watch as her cousin, Brighida the golden child, shines in everything Megge has refused. She feels like an outcast, even in her own family, but cannot find the courage to do the one thing that would make a difference: open The Book of Seasons. The novel follows Megge's life and growth from this point onwards, giving you a long, charmingly rambling look into life in Cornwall in the 1200's from Megge's point of view. There is a sweet classical quality to the writing; it's a slower pace of things, a certain choice of words and tone, a rootedness to the earth, and a dual sense of mysticism and spirituality. Yet the older I get, the more impatient a reader I am. I think I've gotten used to reading quick stories with fast-moving action, so when I reach a story that seems to play out over several years, I start skimming to try to push things onwards. The inability to linger is the fault of none but myself. The plot is involved. There are many things going on: the secrets of the seers and healers of Bury Down, the jealousy and fear of the villagers, the odd hatred of Jenifer Pennick and her mother, and the persecution of the church, all coloured in the narrative by Megge's naivete, fear, and ignorance. Her guardians (Mother, Aunt Claris, Morwen, and Aleydis) are seemingly at odds about how much and what to tell her; Megge's ignorance throughout the novel is needful and yet terribly frustrating, especially since it's partially a wilful one. Other core themes dealt with in the novel are the effects of greed and jealousy, both of which lead to dire consequences. Yes, dire. There is a lot of fire and death in this story. Overall, there's a very pretty arch to this novel; the prologue felt a little disjointed at first since there's a skip of about 900 years when chapter 1 starts, but it plays out to be pretty important as the story develops. However, you only see the full impact of it in the last couple of chapters. Which is also why I think the story was just a little too rambly. It felt like it built and built much too long and much too slowly for how quickly it ended after that last revelation. You could probably skip a little of the middle and head straight to the end and not lose out on much except maybe some understanding of Megge's slightly convoluted family history. Still, despite its faults (or my impatience), Megge of Bury Down is still quite an engaging read. Note: I received a digital review copy of this book from Smith Publicity via NetGalley. I was given the book with no expectation of a positive review and the review is my own. “Creating powerful female characters, combining magic and medicine, Rebecca Kightlinger tells a compelling tale of what it takes to walk the 'path of the protector.' In a timeless yet also timely story, Kightlinger's heroine rallies supernatural strength and all matter of healing arts to find her path toward protecting books, the land, and most of all her fellow women. Readers will not forget the women of Bury Down." Confused, unsure, and trying to avoid a twist of fate—a vow that she fears will lead to murder—a young woman makes a decision that places her family in unimaginable danger. A story intertwining destiny with reckoning, and tradition with dreams, the debut coming-of-age novel Megge of Bury Down: Book One of the Bury Down Chronicles [Zumaya Arcane], by Rebecca Kightlinger, radiates feelings of togetherness and protectiveness as seen through the eyes of a young girl embroiled in a mystical struggle that threatens to tear her family apart. Set in thirteenth-century Cornwall, on a sheep farm in the shadow of Bury Down – known for a thousand years as the land of the second sight – a healer has vowed to face flames rather than fail in her one task in this life: to bring her young daughter to vow to protect The Book of Seasons, an ancient grimoire whose power sustains the spirits of all their ancestors. 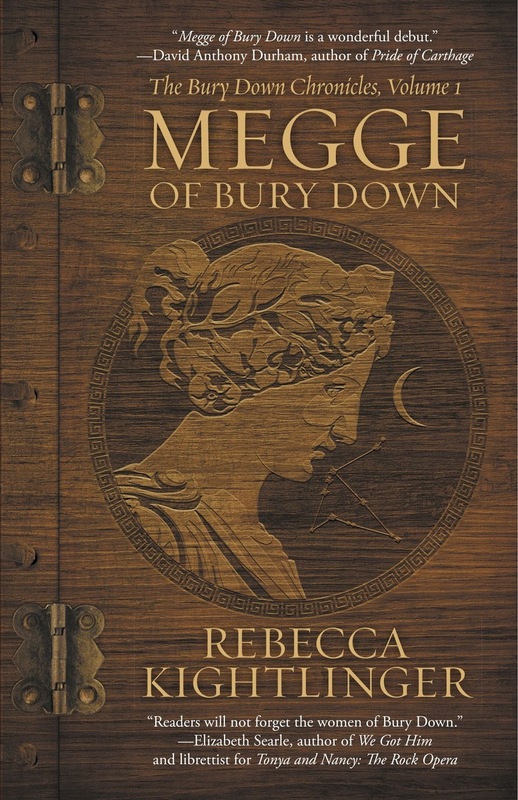 This newly released title, Megge of Bury Down, addresses family issues prevalent in today’s world in a tender yet cryptic setting, creating a storyworld readers of all ages will want to visit again and again. • An unimaginable bond of family. Through generations—even after family members have passed—togetherness and protectiveness are ever-present in Megge’s family. • Powerful female characters—how their strength, wisdom, and compassion allow them to defy all odds. • The intense conflict between the yearning to belong and the need to find your own path. must lead in order to hone your skills may make you an outsider, even to those you serve. • A real-life setting—Bury Down is an ancient hill fort whose ruins can still be seen on a hilltop just outside of Lanreath, Cornwall. 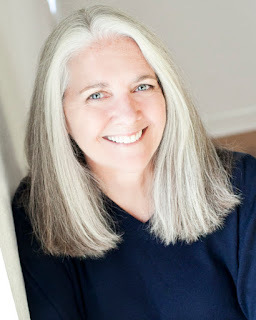 Rebecca Kightlinger is a novelist, a book critic for Historical Novels Review, a fiction- submissions reader for New England Review and Stonecoast Review, and a copy editor for Stonecoast Review. Born in Erie, PA, Kightlinger practiced medicine for nineteen years. For six of those years, she served on a Remote Area Medical volunteer team diagnosing and treating cervical cancer in Amerindian women living in the rainforests and savannas of rural Guyana. In 2010, Kightlinger suffered an injury that permanently damaged her wrist, forcing her to leave medical practice and pursue a new direction in life. Earning an MFA from the University of Southern Maine’s Stonecoast MFA program and a copyediting certificate from UCSD, she turned her Masters thesis into her debut novel. Kightlinger and her husband reside in northwestern Pennsylvania. 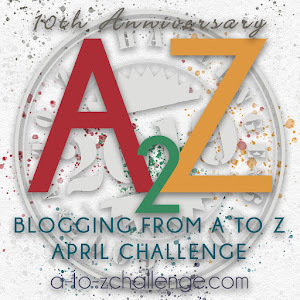 Connect with Rebecca Kightlinger on Facebook, Twitter and Instagram. 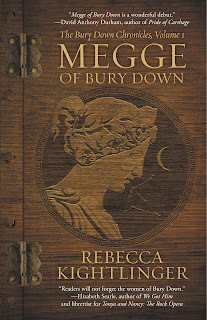 Learn more about Megge of Bury Down at www.burydownchronicles.com. Megge of Bury Down: Book One of the Bury Down Chronicles is available for purchase in paperback and e-book via Amazon* and all major booksellers.